1. 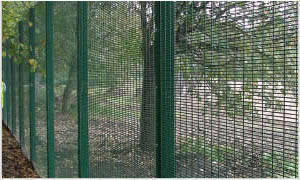 Application: Protection for road, railway, highway, pool, animal, feeding, house. 2. Property: Corrosion resistance, aging resistance, sunshine resistance and weather resistance, easily installed to transport, high strengthen, highly durable, good steel nature capacity, wonderful shape, wild field of vision, feel comfortable and bright. 5. Colors: Green (RAL6005), blue, white, red, yellow, black, gery etc as your request. Post Style: Square Post, Round Post, Rectangle Post, Peach Post, etc.